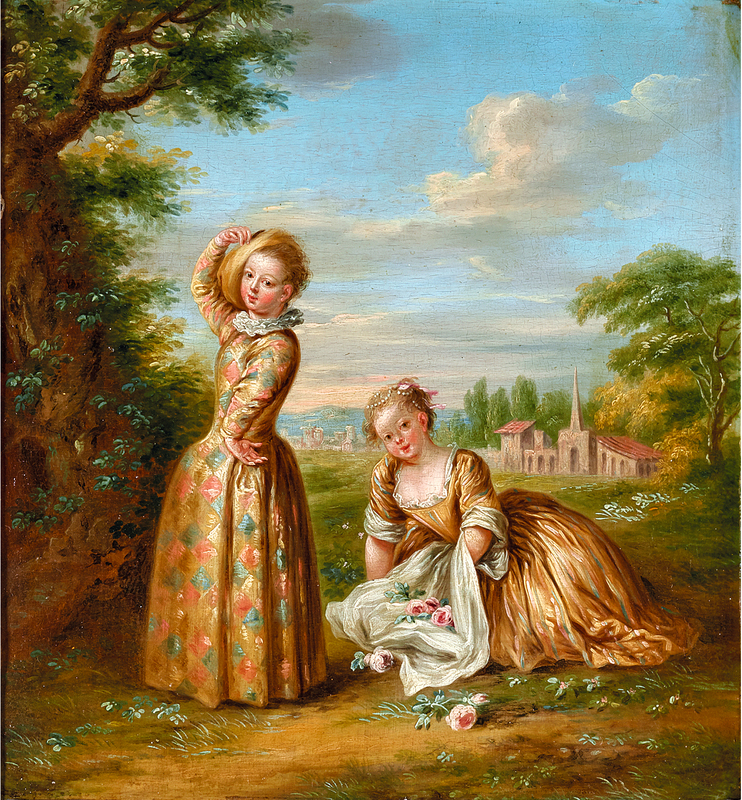 Despite the attribution of this painting and its pendant, Scène pastorale, to the eighteenth century, the poor quality of the works suggests that they were executed in the nineteenth century or later. Watteau and Charles Louis Simmoneau, Les Habits sont italiens (detail), etching retouched with a burin, 28 x 20 cm. 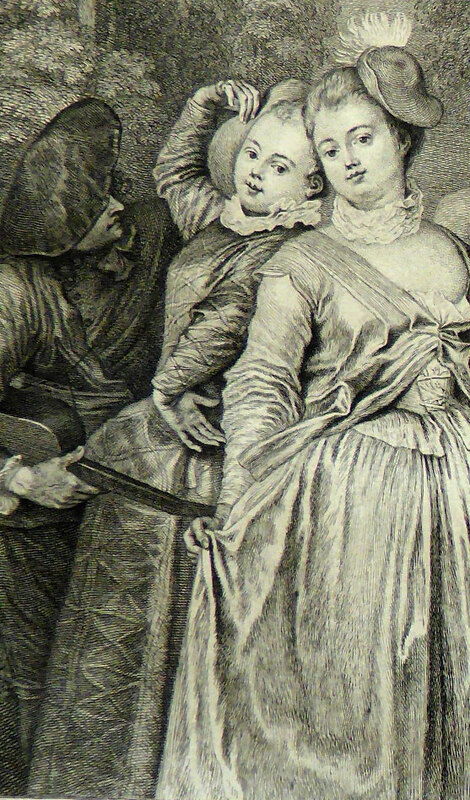 Pierre Aveline after Watteau, Le Champs Elysées (detail), engraving. This painting was based on two engravings. 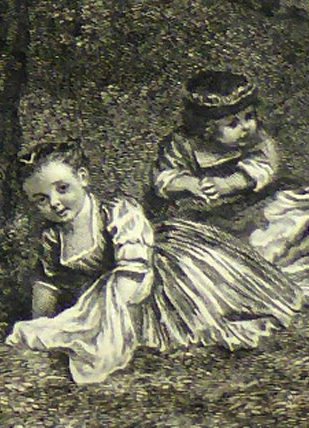 The young woman at the left was taken from Watteau’s etching Les Habits sont italiens, although here she has been given the appearance of a younger girl in accordance with juvenile scheme of the pendant. The second girl in this composition was derived from Aveline’s engraving after Watteau’s Le Champs Elysées, but without the charm that Watteau was able to bestow. The landscape is wholly the pasticheur’s invention.